In JoJo's Bizarre Adventure Part I Phantom Blood, in the climax ending, Jonathan sacrifices his life to defeat Dio and save Erina, his unborn child Jorge and baby Lisa Lisa. Erina manages to save herself and Lisa Lisa by hiding in Dio's coffin, but then in Stardust Crusaders, another coffin with "DIO" engraved on it is rescued from the bottom of the ocean where Dio had been sleeping for the past century, having survived by stealing Jonathan's body. Where did that second coffin come from? I've came back to this to try and make sense of it but I don't know if it's a plot hole or not. I enjoy JoJo's Bizarre Adventure so much, and there are instances where it really stretches it too far. Like some bizarre happenings have some kind of explanation in it (see King Crimson) but this one is the one that still evades me. Originally, Dio did die at the end of Phantom Blood, but when Araki decided to write Stardust Crusaders, he retconned the ending of Phantom Blood. These retcons were applied to the anime accordingly. 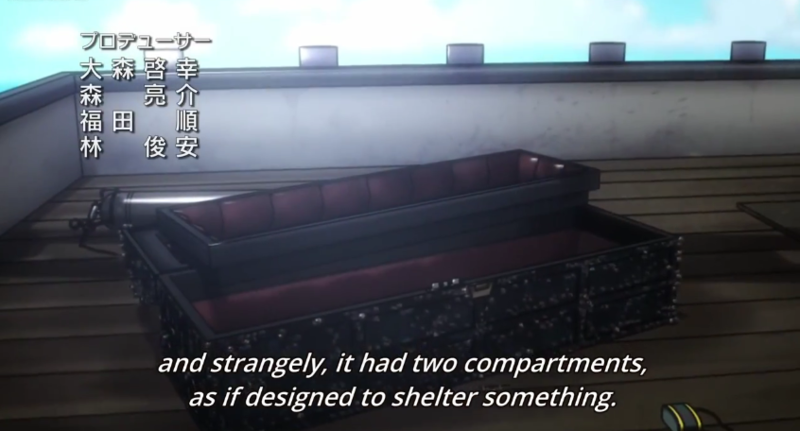 After retconning, the coffin had a second compartment that Dio hid in while Erina hid in the top compartment. After Erina got in the coffin, Dio ripped off Jonathan's head and got into the same coffin Erina was in. When Erina was rescued, they did not rescue the coffin, they let it sank, without knowing that Dio was within the second compartment. However, an alternate explanation is provided in the novel Over Heaven, where Erina placed Dio and Jonathan's body along with herself in the coffin. Dio knows that Nukesaku is falsely guiding the Joestar Group, buying time for Dio, who uses that time to write in his notebook. He tries to recall the last moments before ending up in the coffin, but his memory is hazy. Despite having surely entered the casket, Erina had survived with the child. Dio suspects that the four of them were in the same coffin, but Dio admits that he would never have shared the casket with someone. Yet he did lose consciousness, so who put him into the casket? Saving someone she hated would indeed be in accord with Erina's character. Dio is now sure that Erina took pity on him and pulled him into the casket to protect him, and put him to rest at the bottom of the ocean. Dio's memories become more and more hazy and he ends up confusing Erina with his own mother.